Over the last few years, there have really been a huge spurt in growth for the mattress world. There have been dozens of brand new online mattress companies that have really been changing the whole mattress industry. Since there are so many direct to you online options out there, it is hard to really know what will be the better option like you would if you shopped in a mattress store. The most common options that are talked about are the Casper mattress and the Leesa mattress. Both are a hybrid foam mattress, that have a great price, and great reviews. But there are some big differences. 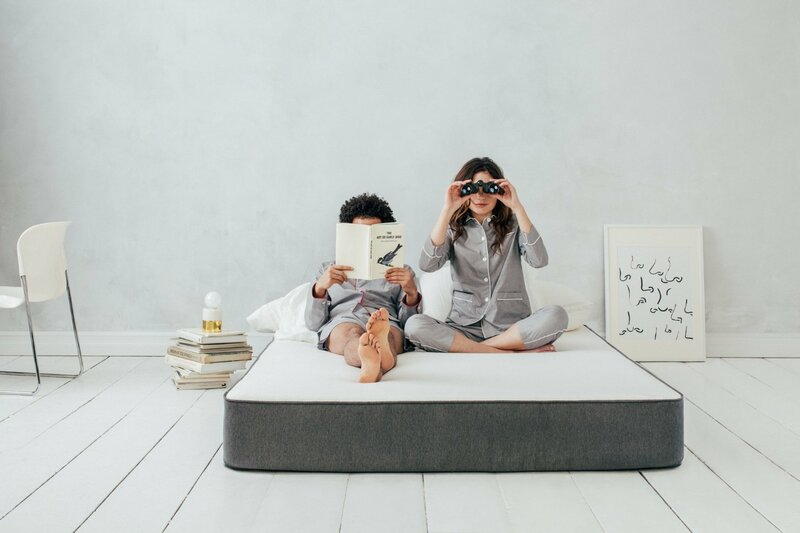 Both the Leesa and the Casper are again a hybrid foam mattress, which mean that they have a combination of various types of foam to really give you the best support and comfort. These mattresses have a mixture that is designed to give the support like memory foam and a cooling/comfort layer that is made from Avena foam like the Leesa mattress or poly foam like the Casper mattress. The Casper has four layers of foam. The top layer is made from poly foam, followed by memory foam, and then a third layer of poly foam and a support foam base. The top layer is great for giving the mattress airflow and cooling you through the night, which means that this mattress does not sleep hot. I have tried various Casper mattresses for several months starting with the original version to the redesign of 2017 and it has never slept any hotter than my old spring mattress. The Leesa only has 3 foam layers. It has a top layer of Avena foam. This foam is a latex alternative and it was made to sleep and feel like a latex mattress. It is actually more durable than latex foam. The next layer is memory foam and the bottom layer is a support foam base. The top layer of Avena foam was made to provide airflow and cooling through the night, this ensures does not sleep hot. Unlike the Casper, the Leesa never got hot in the slightest. After sleeping on both mattresses for several months each, I have to say that both mattresses are about the same when it comes to cooling. I have not had the feeling that they were hot like an inner spring mattress that I had slept on before I purchased these mattresses. The cover is not anything that is important to me, simply because I cover it up with a sheet. Although, it is a nice added feature and statement about the mattress. Find out more about the Casper company. Casper has a traditional yet subtle cover. The cover is white on top and gray around the sides. The white fabric on top is quite thin, porous, and stretchy. It is made from polyester, which makes it great for cooling and breathability, but whenever you move the mattress, the cover is hard to grasp, so just be careful when you are moving the mattress. Check out my Casper mattress review. The Leesa has a cover that has a 4 bar design. The cover is made from just one piece of fabric that has been woven together, so it is virtually seamless. It is really unique when compared to other types of mattresses that have seamless covers. I loved the design, it was almost a shame to cover it up. The cover is a blend of lycra and polyester. That means that it is durable, and will protect the mattress from damage, which the lycra provides moisture control and breathability. Unlike the thinner more traditional covers, the Leesa has a cover that is quite thick. That thickness gives a better feel and more confidence for long term use. The one thing that was found to be weird about these mattresses is that they have a weight limit for comfort. The Casper is stated to be best for those who are less than 250 pounds and for couples up to 450 pounds. The Leesa is for those who are less than 300 pounds and for couples that weigh up to 600 pounds. Check out the complaints about the Casper mattress. When it comes to sinkage, the Casper tended to go a bit deeper when on my back and when I flipped to my side it was even deeper. The Casper has a more of a hug to it. This makes me feel enveloped whenever I lie down. It is comfortable and really contours to your body to help relieve pressure, as I have back problems, it was great. The Leesa has less of a hug to it and more of a push back. Now it isn’t firm, but you don’t feel like you are going to sink into it. This mattress was made for all shapes and sizes. It does give plenty of support and I noticed that I slept better on the Leesa than the Casper. When it comes to motion transfer, the one thing that you should know is that foam mattresses have very little motion transfer. I slept on both the Casper and Leesa with my partner for several months, and I never felt him move around, and I never felt him get out of bed in the middle of the night. They are about the same when it comes to motion transfer. When it comes down to price, the Leesa is a bit cheaper, but not by much. Leesa also has rebates and coupons to be used to take a certain amount of the price that they have. I purchased the Full size for around $750 while the Casper was more than $800 but check out the Casper mattress promo codes to see if you can get it cheaper. Now we have covered most of the comparison points for the Leesa and Casper mattresses, but lets really compare them. The Casper is made of 4 layers that equal about 9.5 inches. It has a 2 toned mattress cover that is soft and stretchy and made from polyester. It is a medium firm and has decent support. It has little motion transfer and the price is around $550 – $1200. It has a 10 year warranty and a 100 day trial period. It is shipped to your house within 2 to 7 days with free shipping. If you decide to return it, they will pick up and take care of it for you. There are no discounts for it. The Leesa has 3 layers of foam that equal about 10 inches. It has a 4 bar design made from a poly-lycra blend. It is a medium firmness. It offers great support. It has very little motion transfer and the price ranges from $500 – $1000. It has a 10 year warranty and a 100 day trial period. It takes about 4 to 10 days to show up when it is shipped to your house for free. If you decide to return it, they will pick it up and take care of it for you. It has a coupon for $75 off. That is a really tough question and one of the closet calls for a review. After sleeping on both the Casper mattress and Leesa mattress for several months, I truly feel and believe that the Leesa mattress is the way to go. Below are my reasons about why I feel it is a better choice. The Leesa has more and better foam. 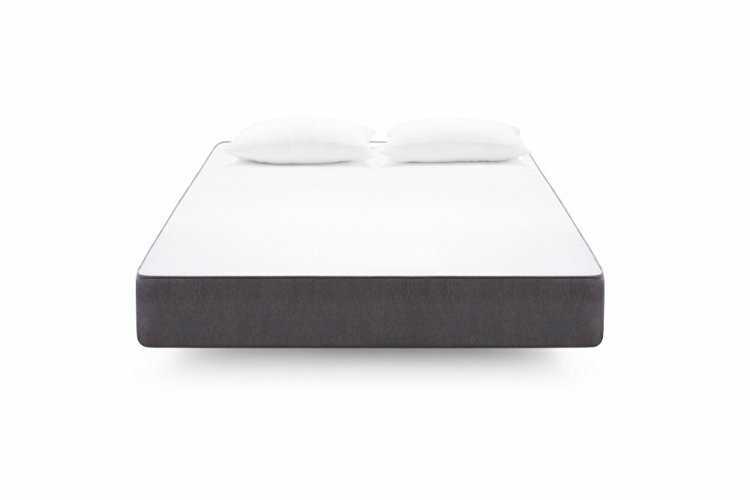 There is over 4 inches of comfort foam compared to the 3 inches in the Casper mattress. This simply means that it is more durable and better for support. Not to mention that Leesa uses Avena foam instead of poly foam. Even though Casper changed the transition of poly foam still didn’t really help out that. It has the “it” factor. Not sure what it is, but Leesa has it. It is really hard to put into words the balanced feeling of support and softness that comes with the Leesa. I love this mattress. Out of all the mattresses that I have slept on, the Leesa is the mattress that I keep going back to. When it comes to the firmness of the Leesa, it is very consistent. It ranks about a 6 when the 10 is the firmest. I noticed that the Casper has fluctuating firmness range. I think the Casper is about a 6 while heavier sleepers state it is more of a 7. This could be due to the top layer and specialty foam. This could cause more compression. It has a thick over that I love. I love the design cover of the Leesa. Once you have got past the looks, it is just better made. It is thicker and woven from one piece of fabric. Although Casper has a softer cover, it is too stretchy and too soft to give it any durability. It also has good edge support which is hard to do for a foam mattress. Although neither the Casper nor the Leesa were really great in this area, the Leesa held up better and doesn’t completely collapse. It also does great in a normal sleeping position if you are close to the edge. There were a lot of factors that were quite similar such as support, warranty, pricing, returns, shipping, trial period and motion transfer. However, I still prefer the Leesa mattress.